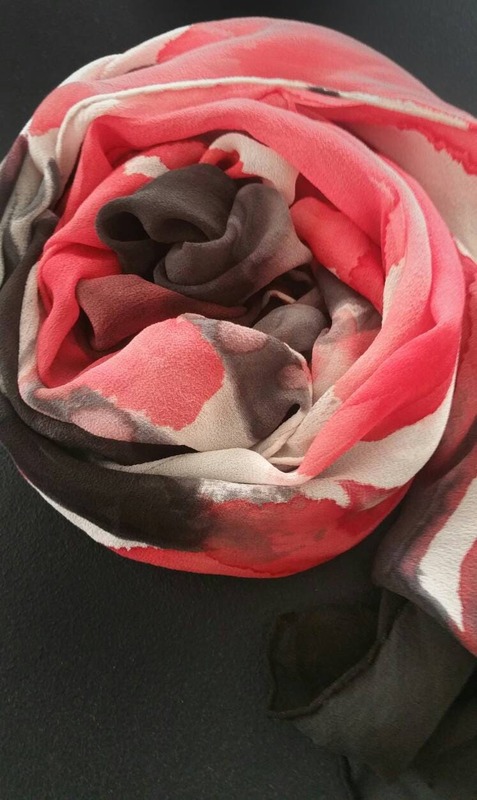 Striking silk shawl in brilliant red and black and white will be ravishing wrapped around your shoulders, neck or hips for dramatic look. Dress up a pair of jeans or a boring outfit. One of the best ideas for gifts are luxury accessories. Everyone can wear shawl.